Making one of her rare red carpet outings, Dita Von Teese attended the opening of the Glamorama Celebrities by Ali Mahdavi Photo Exhibition yesterday(September 25th) in Paris. 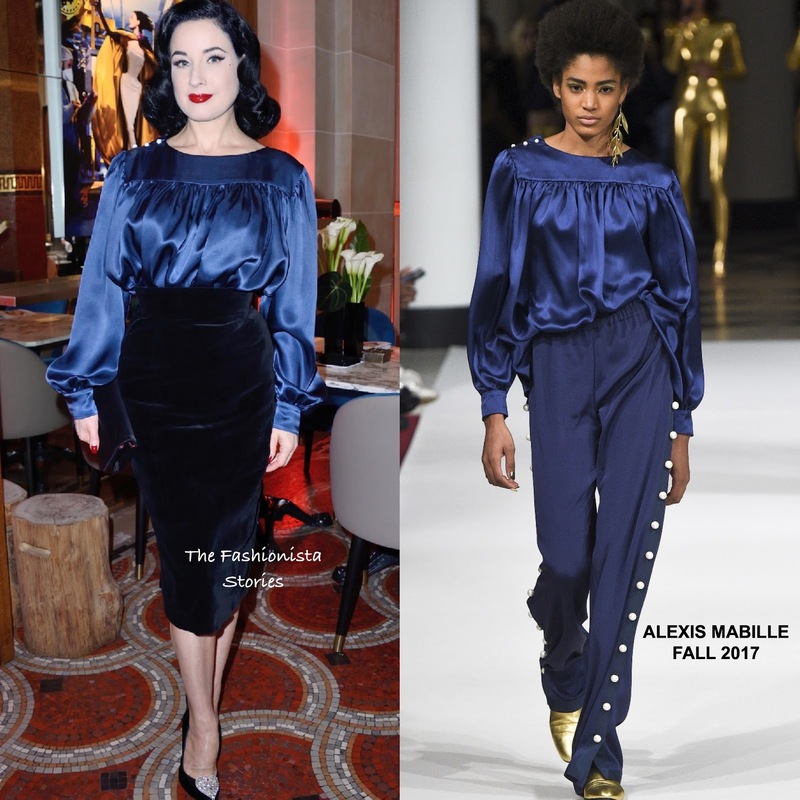 Turning to one of her go to designer brands, she wore a ALEXIS MABILLE FALL 2017 long sleeve navy silk, pleated blouse which she teamed with a velvet pencil. Dita's simple but sophisticated look was accessorized with a velvet clutch and CHRISTIAN LOUBOUTIN pumps. She finished up with her signature beauty look.